It’s no secret I love my big bad bangles, but I like delicate things just as much. This dainty little piece by Ashley Schenkein totally fits the bill. And though I look forward to wearing it with a fancy holiday outfit, I kind of like how sweet it looks with a chunky knit. Super deep thoughts of the day. Over and out. that is a lovely sweater. That cable-knit sweater is lovely! oh i am so loving the pretty cable knit! 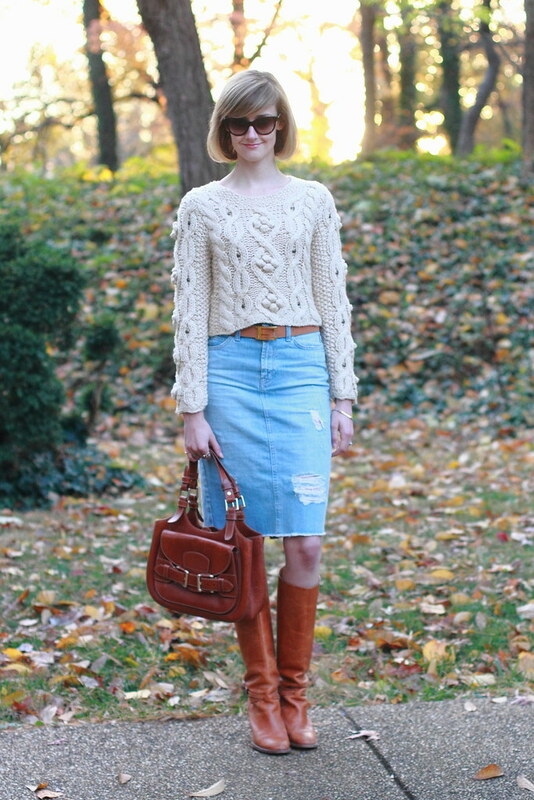 Looooove this fall look with the denim pencil skirt, pretty sweater and great boots! Your new bangle is very sweet as well and will work well this holiday season I'm sure! Ooo, so fall. LOVE love love that knit. Love seeing your outfits on the StyleUp inspiration page. This sweater looks perfect and Ill definitely need to buy it. I love this look on you! I tend to wear only darker shades of jean material in the colder months, but am totally feeling inspired by how you styled your light jean skirt. 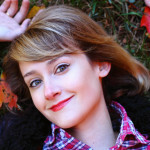 I also adore all your jewelry here – so pretty and elegant! 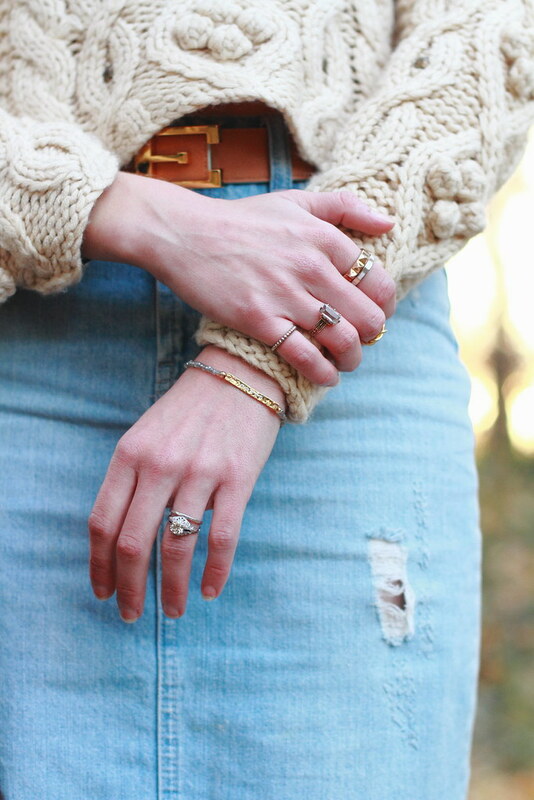 I love how you styled this denim skirt! I just love the boot and sweater paired with it.